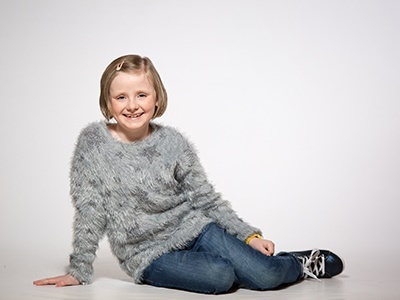 Ashlee's Neuroblastoma Appeal at CCLG is raising funds to support neuroblastoma research. In February 2013, our daughter Ashlee Easton, then aged 6, started complaining about pain. Initially the doctor suspected a food intolerance and it was thought she had pulled a muscle. However, within a few days she was admitted to hospital in terrible pain where doctors suspected she had appendicitis. If only. After a week of watching and running a few tests we were no further forward and we were transferred to Yorkhill Children's Hospital in Glasgow. Tests were to reveal that our daughter had stage 4 neuroblastoma, an illness we didn't even know existed! From that point onwards we found an inner strength and held on to hope that we could get our daughter through what was to follow. Ashlee endured almost a year of chemotherapy including Rapid COJEC, TVC and then the BEACON trial, which eventually cleared her bone marrow. In January 2014 surgeons managed to remove 100% of her abdominal tumour. In February 2014 she then went on to receive a stem cell transplant, followed by 6 months of immunotherapy, which was the hardest part of her treatment. At one point she ended up in intensive care due to the combination of infection and the effects of immunotherapy. It was a very scary time and not one we would like to experience again. In December 2014, Ashlee completed her treatment with radiotherapy andour daughter was finally free of disease! From then on Ashlee kept well, she was thrilled to have her lovely hair back, she enjoyed being back at school with her friends and loved to go out to play on her electric scooter. In July 2016 we were devastated when routine scans revealed our gorgeous girl had relapsed. How can life be so cruel after everything she had come through? Ashlee has now started treatment and she has lost her lovely hair again. As parents all we can do is keep strong, have hope and pray that she can beat this again. For anyone who would like to do something to help, please do. Please support us by helping to raise money for neuroblastoma research. We need to find kinder treatments and most of all a CURE, and we need your donations to get us there, no matter how small. If you can do anything to help, we would be extremely grateful. Thank you so much. Instead of sending Xmas cards I would like to make a donation to Ashlee’s appeal. Dress down donations from Capita staff at craigforth. Best wishes and get well soon. We are donating at the request of Allan Waugh, who would rather than buy him a 50th present the money went to this wonderful cause.